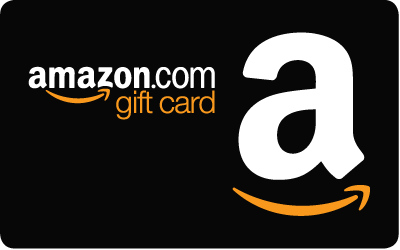 Use your Amazon.com Gift Card* to shop from a huge selection of Books, Electronics, Music, Movies, Software, Apparel, Toys, and more. *Amazon.com is not a sponsor of this promotion. Except as required by law, Amazon.com Gift Cards ("GCs") cannot be transferred for value or redeemed for cash. GCs may be used only for purchases of eligible goods at Amazon.com or certain of its affiliated websites. For complete terms and conditions, see www.amazon.com/gc-legal. GCs are issued by ACI Gift Cards LLC, a Washington limited liability company. All Amazon ® ,™ & © are IP of Amazon.com, Inc. or its affiliates. No expiration date or service fees.